Trieste provides an integrated system for the superyacht sector, combining supreme artisanal skills with a remarkable level of innovation. Trieste Refitting System (TRS) is a business network established in February 2013 by Meccano, Quaiat Yard, and Zinelli&Perizzi. 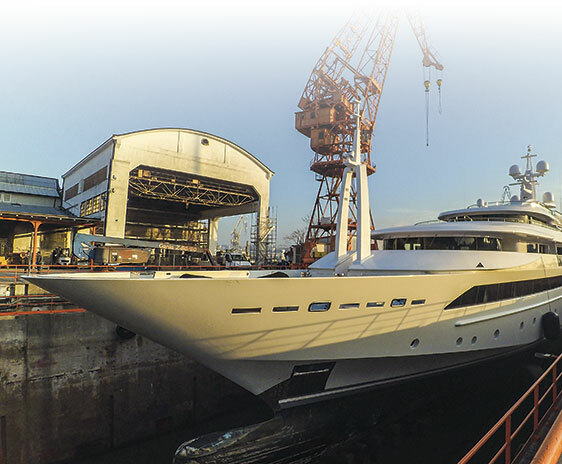 Trieste Refitting System’s mission is to provide its clients with comprehensive assistance from design to construction, with a particular focus on refitting superyachts, whether sailboats or motor boats. Trieste Refitting System has availability of large dry docks and a number of quays that can be used for any type of activity related to repair, refitting and conversion. Trieste Refitting System is a reliable partner fully committed to providing the utmost quality to satisfy its clients.